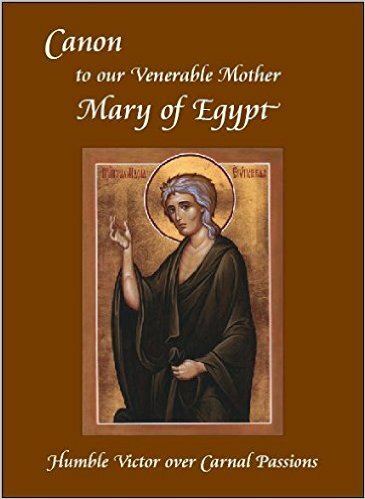 Even before going to press, many of the faithful showed tremendous interest in this new addition to the Akathist Series, which includes two canons to St. Mary of Egypt. Our nation is being devastated by a great spiritual tsunami of lustful passions. As Fr. Demetrios Carellas writes in the Introduction: "May this Canon to St. Mary, and the Spirit-filled prayers at the end, help us in our efforts to keep our souls from sinking under this soul-destroying tsunami. May we also offer it as an intercession for others who are under the control of this demonic weapon of mass destruction, and who-at present-do not have the desire, or strength, to escape its terrible impact on their souls." Cover and inner pages are in full color, with several full-page icons.